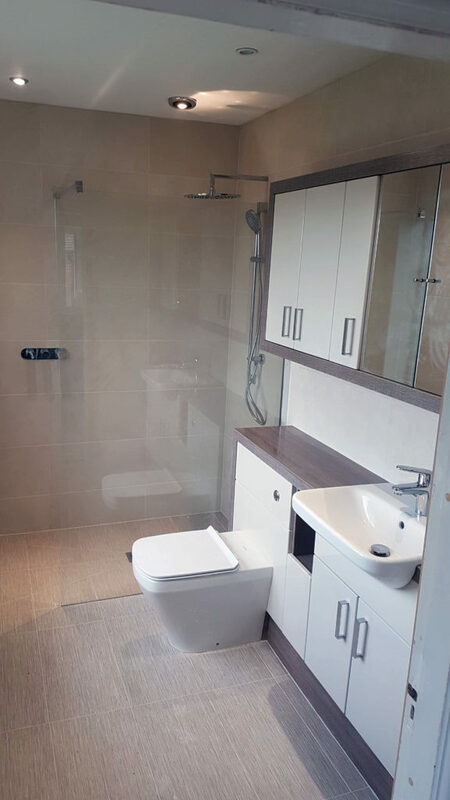 Here at Blue Skies we offer a start to finish fitted Bathroom service. Design to completion. 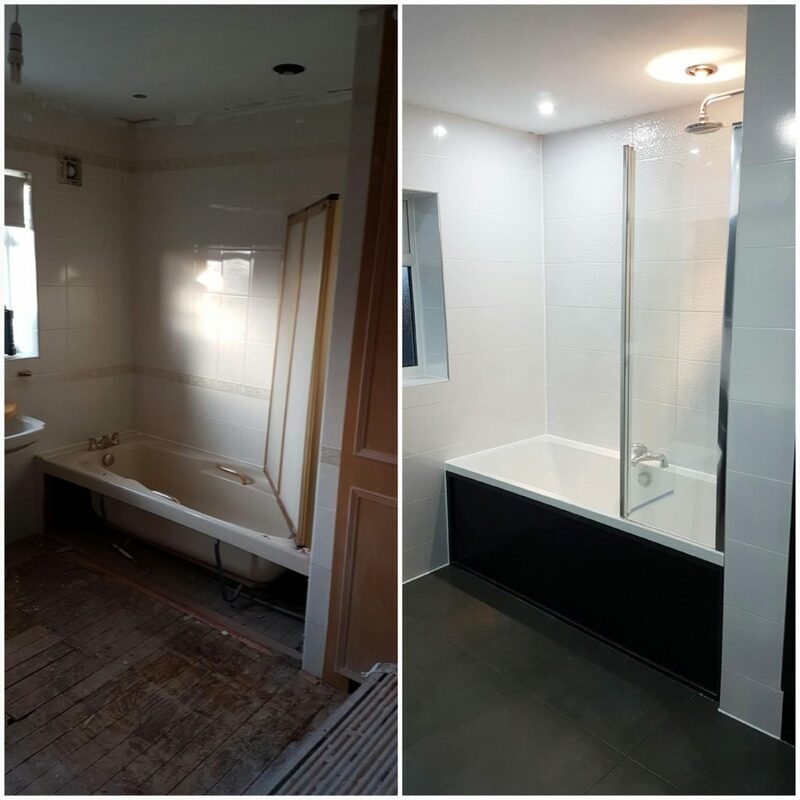 State of the art CAD software allows our customers to see the products chosen all together as a finished project and amend if necessary, saving valuable time and money not adjusting once works commenced, having peace of mind their new stunning Bathroom is perfect from the get go. We take care of everything. From plastering over that dated artex ceiling and installing new down lights and fan, to making bespoke furniture for those awkward place that so many companies could not. 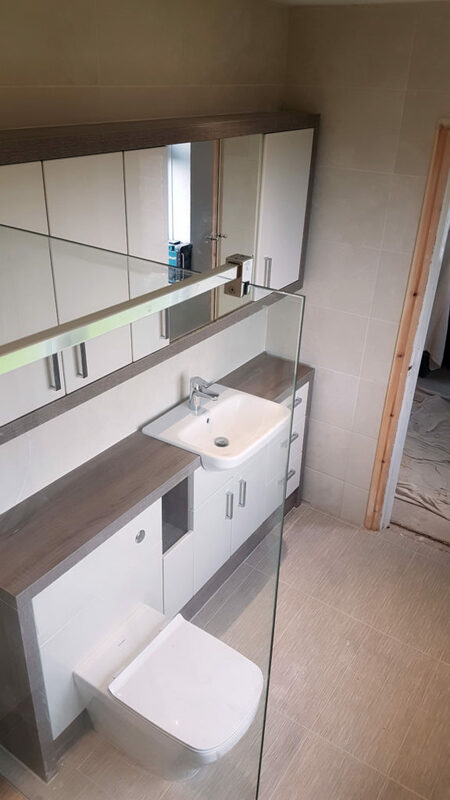 Our aim is to provide you with a show room finish, it may be one of the smallest rooms in the home but it’s one of the most important when it comes to design and functionality and that’s what we deliver.